When the winter months wear on and the cold days lead to cold days I hope for days like today! 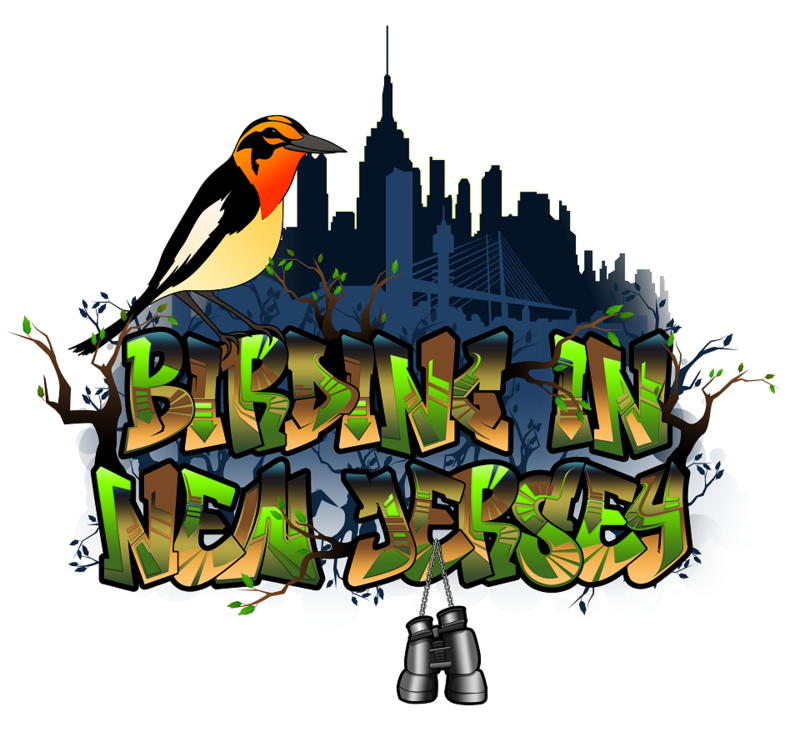 The Spring birding bonanza finally got underway today and got some pep it its step with what must have been a significant flight last night. 16 Warbler species and 3 Vireos with Baltimore Oriole and Rose-breasted Grosbeaks. Hundreds of new birds in the park today with Wilson Ave. again being a hot spot. As soon as I got down to the bottom of Wilson I had a beautiful (and not an easy bird at Garret!) Worm-eating Warbler working through the peeled bark and ground cover. One of 2 Worm-eating I would see today! The end of Wilson held my first Great-crested Flycatcher of the Spring and an energetic male Black-throated Green Warbler. 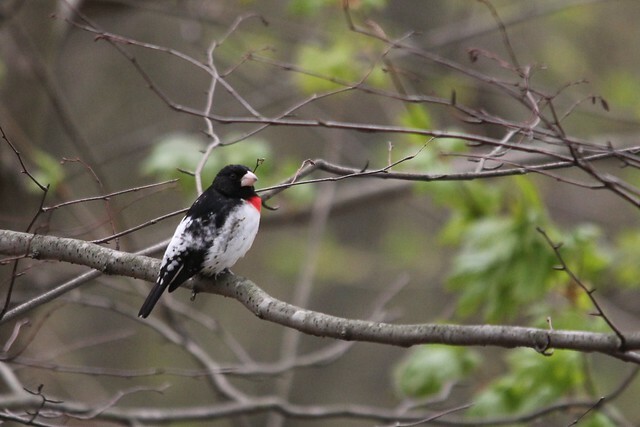 We then happily watched a fantastically displaying Chestnut-sided Warbler and a male Rose-breasted Grosbeak. 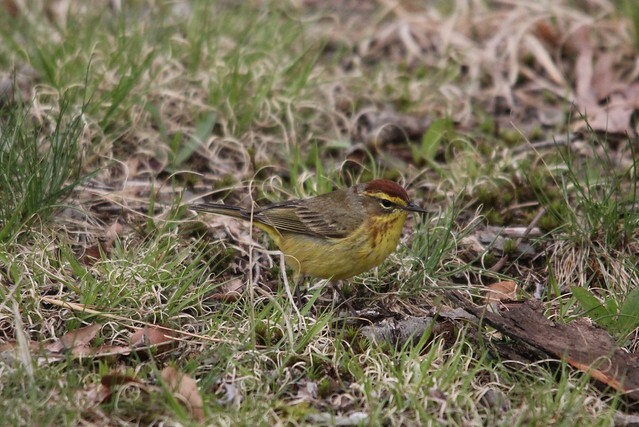 Others included a single Northern Parula and a pair of drab Pine Warblers along with the first of many Blue-headed Vireo of the day. 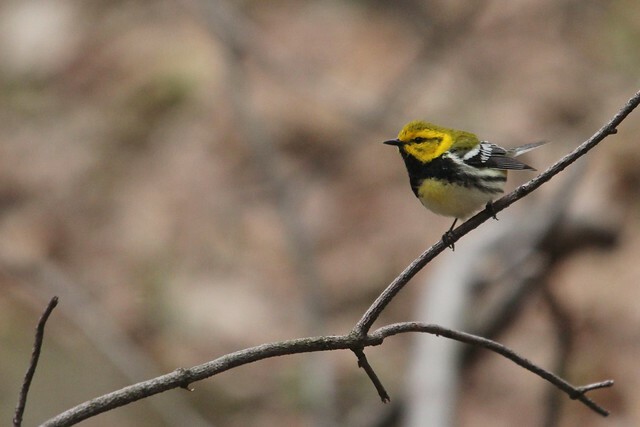 Just as we were walking out of Wilson, we had a bright flash of yellow shoot out across the path for my first Blue-winged Warbler of the year! Lots of activity for mid day for sure! The path towards the boat house had many many Palm Warblers and the most numerous warbler of the day Yellow-rumped Warblers all over. 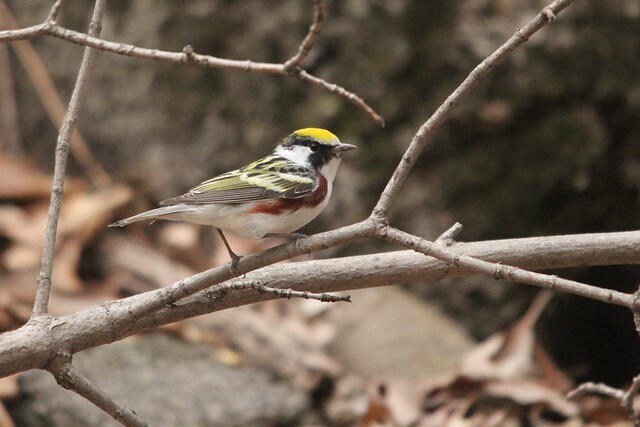 We also had another popping bright Chestnut-sided Warbler and Swamp Sparrow. A singing Baltimore Oriole and my first few resident Warbling Vireos (these may not stay but some do breed at Garret in decent numbers). Barbour’s Pond had washed pretty heavy with recent heavy rain and the island that held a Canada Goose nest seemed abandoned. 🙁 Every year they try and often this is the end result. At least the resident Killdeer hasn’t yet made the same fateful decision. Still waiting to see a pair of Killdeer together. In better news, a Eastern Phoebe pair was back at it and looked to be fastidious builders. Multiple Spotted Sandpipers were in too for the first time (for me) this year! Flashy dressers the Spotted are! 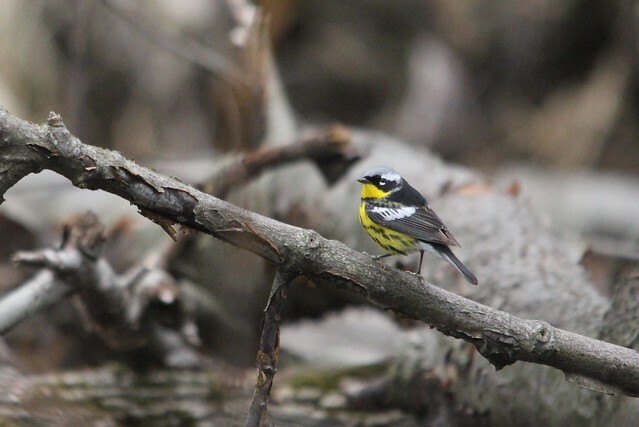 Back on the stream we had the only Magnolia Warbler of the day, that I saw, working along with a male American Redstart. A male Common Yellowthroat, more Ruby-crowned Kinglets, Blue-gray Gnatcatchers and another Swamp Sparrow, were seen with a possible Winter Wren that I only got unsatisfactory looks at. 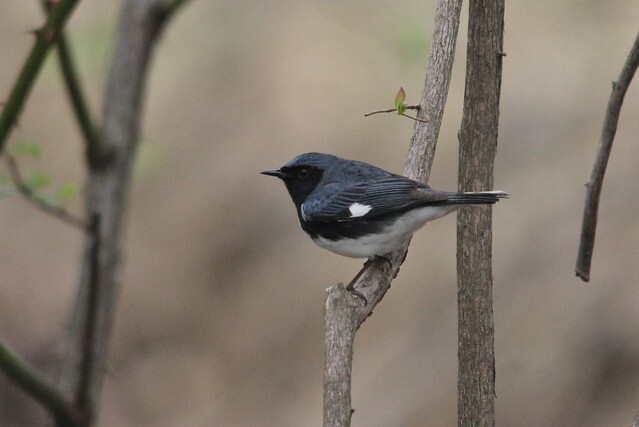 I next headed up the hill to the rocky picnic area and had 2 Black-throated Blue Warblers (both males) and tons of Ovenbirds! Hermit Thrush are still around in good numbers and we had a single Swainson’s Thrush along with many Veery. We also had a single FOS Least Flycatcher. A final walk down Wilson with fellow birder Greg (check out his Flickr photostream for great photos too!) 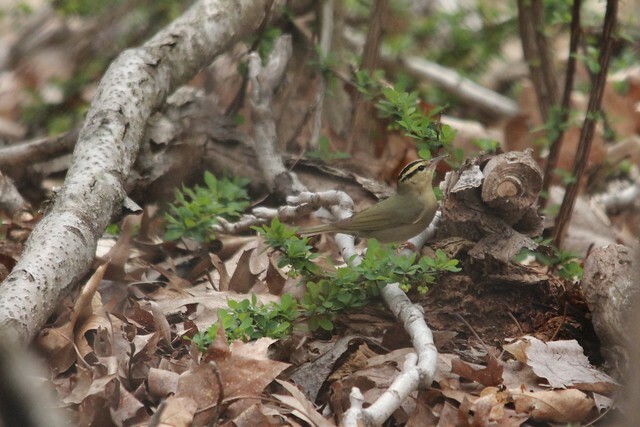 proved advantageous as we got our FOS Northern Waterthrush and an awesome Yellow-throated Vireo to end the day! These are the days I wait for. Good Birding! Here are a few more pictures from today. You can go to my Flickr page to see all of the photos I uploaded.